Whether you’re on the cusp of finishing high school or considering a career change and heading back to a higher education institution, you may be weighing out your options. Everyone has advice to give – “Take science classes,” your parents say. Your friends tell you to major in engineering, and your former teachers tell you that computer science is the way to go if you want to get a job. But your heart may tell you otherwise. You may not like science, or be particularly strong in the math courses. You might have always loved to read or enjoyed social sciences. If so, humanities may be the way to go. 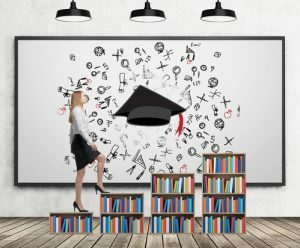 A lot of people say that if you take humanities, you will only be qualified to do one thing in the future – teach that subject at a university, and that is only if you get your doctorate. But that’s simply not true. October is National Arts and Humanities Month. This month celebrates those who’ve dedicated their lives to the beautiful, rich, diverse, and cultural heritage that makes up the Humanities, English, and Social subjects. The arts and humanities have the power to connect people around the world. Writers, singers, artists, actors, poets, and storytellers bring people together. Their work enriches our souls, inspires us to chase our dreams, and challenges us to see things through a different lens. Their work shapes the direction and history of our countries and lives. Today, in honor of National Arts and Humanities Month, we look at the value of a humanities degree, and where it can take you. Getting a humanities degree doesn’t mean that you’re only trained in dance or poetry, or whichever specialty you choose to major in. It teaches you to think creatively, to reason, to empathize, and to solve problems in the workplace. Those are skills that are highly transferable and highly valued. Don’t sell yourself short. Communication is key in work and everyday life – and the practice you get from writing essays and research papers makes you a better writer and communicator. Have you ever heard the saying, “those who do what they love never work a day in their life?” It’s true. Life is too short not to do what you love for a living. If you have a passion for something, consider getting the proper training in that area and making it your livelihood. So What Are Example Jobs You Can Do With a Humanities Degree? Put your love of art to work as a museum worker. Top jobs include curators and entry level jobs such as desk jobs, tour guides, docents, and service people. Work in news, magazine journalism, or be a freelance copyeditor, social media expert, or administrator. Someone has to liaise with the public and the press on behalf of companies. They need someone who thinks fast on their feet and communicates well in person and in print. When you work in humanities, you’re contributing to our achievements as a society. Contributions to culture is important and keeps us attuned to one another at a different level of connection. Remember that the arts and humanities provoke thought, raise our expectations, and inspire all of us to create lives worth living. Personally, I’m a proud graduate of Hofstra University with a B.A. in Theatre, English Literature, and Speech Communications. In addition, I completed a M.A. in Speech and Interpersonal Communications from New York University. I have definitely seen enrichment and rewards in my life by following my heart and pursing my humanities degrees. I encourage you to do the same.